"..Great Job! 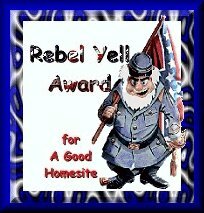 Enjoyed your site a lot"
"Yours is exactly what qualifies for my award. The color scheme and graphics are outstanding". "Your pages are very nice". "...very nice site with good graphics and content, brought together in a pleasing manner". 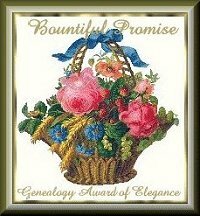 "..your page has been selected as the February 1998 winner for Outstanding Site...a really great job!" "...you are the Featured Site for February!" "I'd be honored if you would accept my award. Keep up the great work!" "Your site looks great! I like the fact that you have helpful information as well. 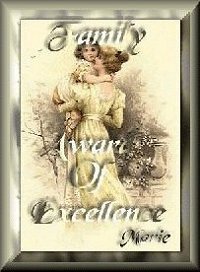 You have done an excellent job". "...wonderful, fabulous site. 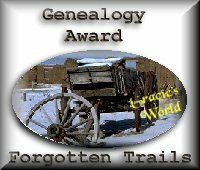 ...an excellent source for Online Genealogy". 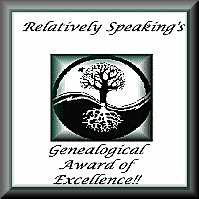 "You have won my Genealogical Award of Excellence". 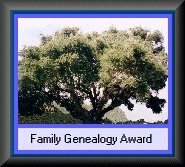 "...for your committment to your own family history and your devotion to helping others".